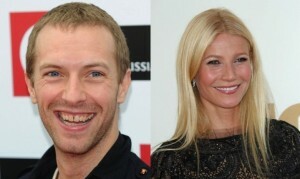 Gwyneth Paltrow and Chris Martin have reunited, at least for the moment. According to UsMagazine.com, Paltrow posted a selfie of the celebrity exes in Disneyland. In celebrity news, their daughter Apple turned 12, and the pair spent the big day at the happiest place on earth. This former celebrity couple is stronger now more than ever. Paltrow says, “I think we are better as friends than we were [married]. We are very close and supportive of one another.” Paltrow proves that you can be friends with your ex and still be a family. This former celebrity couple is keeping a relationship for the kids. What are some ways to keep things civil with your ex for the sake of your children? 1. Stay positive: Don’t spend too much time with your ex if you can help it, but when you do, make sure to keep the mood light. Don’t discuss bills or your past in front of the children. Always think of them first before you open your mouth. 2. Stay alert: If you feel yourself getting into angry territory with your ex, remember it’s only a temporary visit. Laugh it off when you feel yourself start to slip. Look to your kids if you get desperate; they’ll remind you who you’re fighting for. 3. Stay together: Be a team when it matters most. Try to make decisions as a unit and if you can’t, at least compromise. Find a balance so neither of you has the upper hand. Be aware of the volume of your voices when you’re around your child. Think you know how to be civil with your ex? Comment below!